For coffee lovers, coffee is that magical brown brew that gives you a boost in the morning, offers you a pick-me-up throughout the day, or is the drumroll that ends a meal. 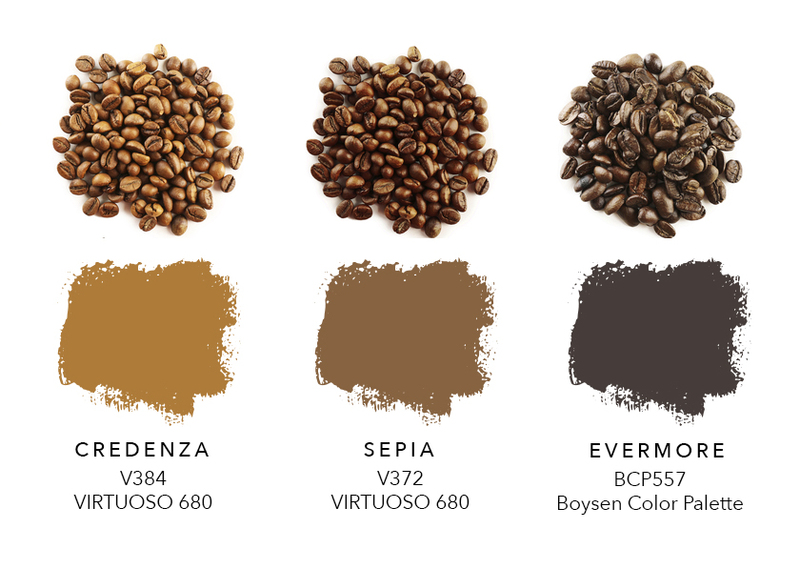 Coffee roasts range from a light brown to an extra dark, almost black color, depending on the roast levels. Robusta and Arabica are two types of coffee plants. Robusta beans have twice as much caffeine as Arabica beans, but the latter is of superior quality. Light roasts have more caffeine than dark roasts. An espresso has a third of the caffeine content found in a regular cup of coffee. In Continental Europe, it was tradition to drink cappuccino only during breakfast, and espresso after dinner. Italians would consider it strange if you order cappuccino after 11 am. Black coffee contains no calories. On a diet? Skip the sugar, cream and other additives! Explore more browns by clicking on the paint names – Lokal Brown, Vintage Cigar, Rich Peat.